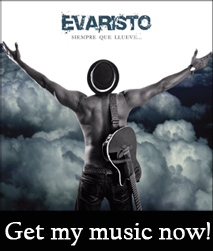 Based on the music samples available on the Web (http://www.evaristomusic.com/music2.htm and http://cdbaby.com/cd/evaristo), I want to let you know about this excellent example of a Cuban Salsa CD with a fresh and international flavor. Anyone who listens to the title number “Luna del Barrio” in its entirety will notice that we are faced with an extremely danceable and intriguing track; one that, for its immediate attraction to the ear has all the signs of becoming a hit. Likewise, each of the remaining 8 tracks (available for listening on the links above) are of beautiful quality, making the whole album, with its especially jazzy harmonies, a distinctive and refined production! In particular I would emphasize the track “Salsa con Timba” which opens the album – a piece that is completely original in its arrangement and danceability; as well as “El Baile del Saoco” and “La Carretera”, whose choruses remind me of the best of Willie Chirino. Evaristo Machado – vocalist and musician born in Havana – is the composer of all the tracks, and gives us an excellent production with an outstanding backup band, where the brass makes up the finest element. This is a production with all the signs that it will soon get a regular distribution in Italy. Translated from the Italian for www.evaristomusic.com. Click here to go back to the 'Luna del Barrio' page.